It’s easy to say “our work speaks for itself,” but actually the work we do doesn’t speak for Marketing Resources & Results, instead, it speaks for our clients. Each client is unique in what they want to achieve, how they prefer to work and what they consider a home run. 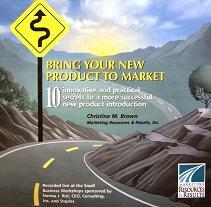 For over 18 years we’ve been making clients look good with marketing resources that improve their sales results. We do not share sales information of our clients. In fact, we’re very confidential when it comes to proprietary information about our clients. 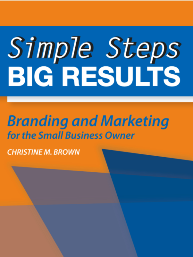 What we will share is the process we use to provide marketing services to our clients. 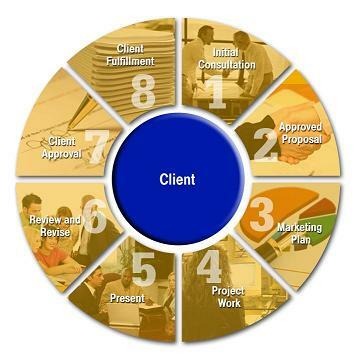 Our 8 Step Process revolves around the client every step of the way. By making the client central in our process, we ensure that the marketing process is a cooperative partnership where you’ll be involved as much (or as little) as you want to be.